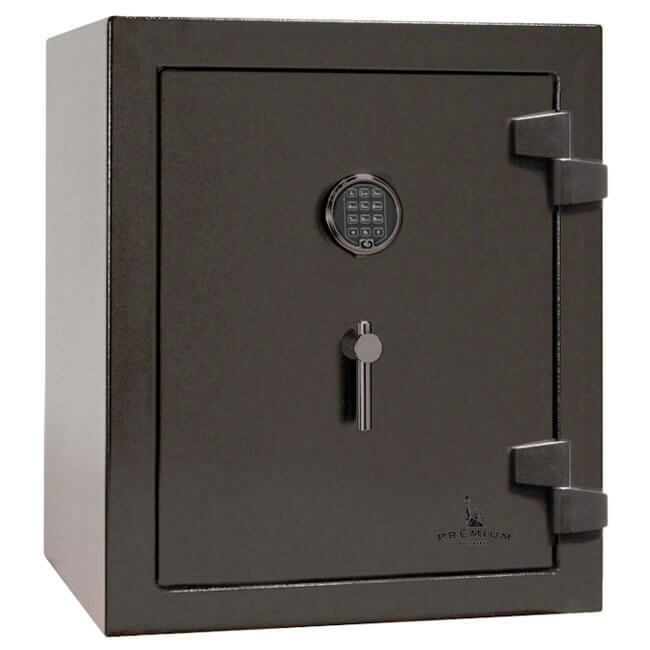 The Liberty LX-08 home safe is built of the same heavy 11 gauge steel as the Lincoln series gun safe. 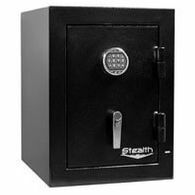 It has the same RSC burglary label and a 90-minute fire protection as well. Its handsome gray marble finish adds taste and elegance to its attractive appearance. 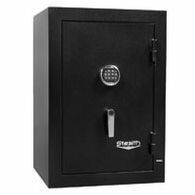 The standard electronic lock adds speed and ease. 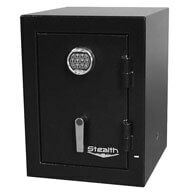 With 10 1.25-inch locking bolts and all four sides, it will keep the door securely closed and locked. 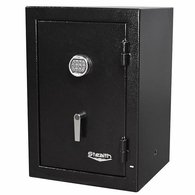 It has a drop style handle and the door opens wide because of the outside hinges. 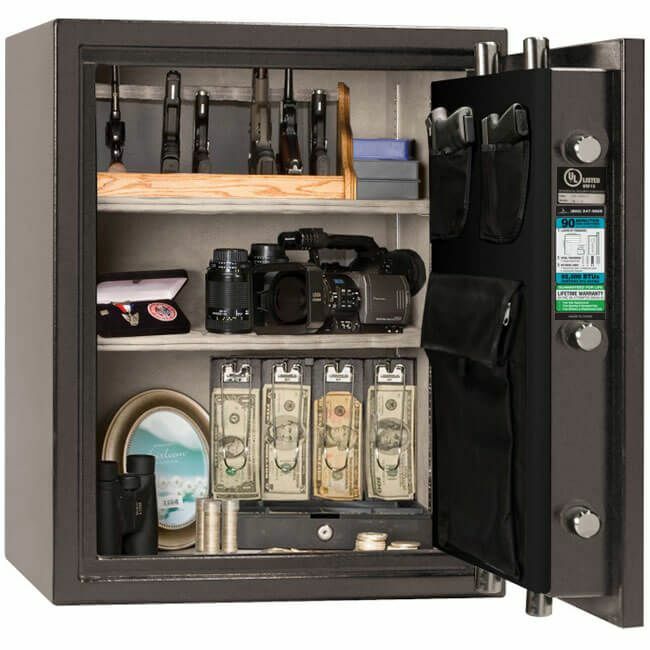 It has two adjustable shelves and it weighs a hefty 295 pounds.